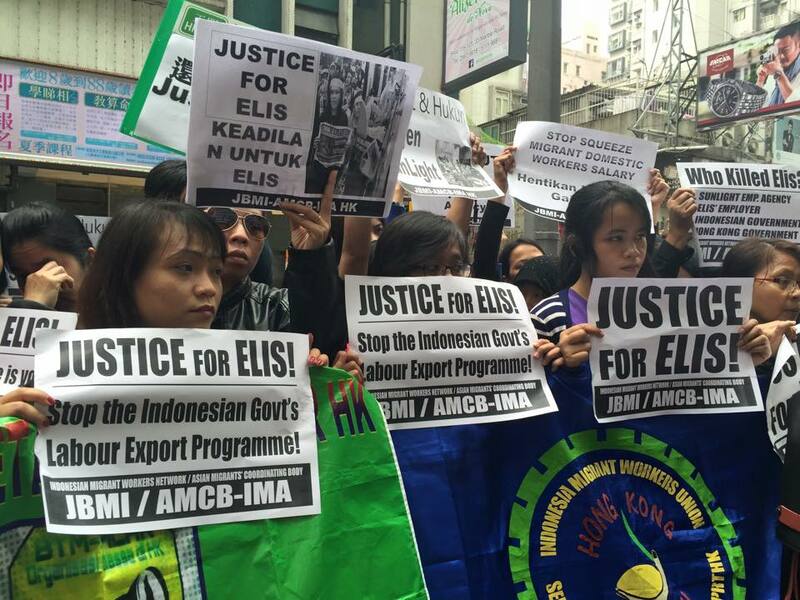 Share the post "Justice for Elis Action Centre"
33-year-old mother-of-two Elis Kurniasih died on March 16th, 2015 five days after being crushed by a 60kg concrete slab at her agency. Conditions at the Sun Light Employment Agency boarding house were said to be “terrible“, according to a Mission for Migrant Workers spokesperson. “Indonesian domestic workers there are said to sleep on the floor with mats and no proper bed. Cooking is done at the rooftop of the said old building. Although there is a lift, they are allegedly made to take the stairs since only tenants and staff are allowed to use the lift.” the spokesperson said. The family are seeking legal advice but Mission for Migrant Workers reports that they are under pressure from the agency and Indonesian authorities to ‘settle’. Donations for the family are therefore welcomed from the public as justice is sought. Elis was a divorcee, supporting two children aged 10 and 13, and her parents aged 50 and 60 years old. Click ‘donate’ below and enter any amount in HK$, then click ‘update’. Click ‘pay with credit card’ if you do not have a PayPal account. Make a “note” on the payment page stating: “DONATION FOR ELIS FAMILY”. For other methods of donation, click here. Alternatively, make a bank transfer. 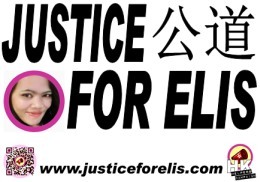 Account Name: MFMW Limited HSBC account number: 848-047866-838 Please send a copy of the deposit/transfer slip via fax +852-25262894 or e-mail mission@migrants.net with a note “DONATION FOR ELIS FAMILY”.